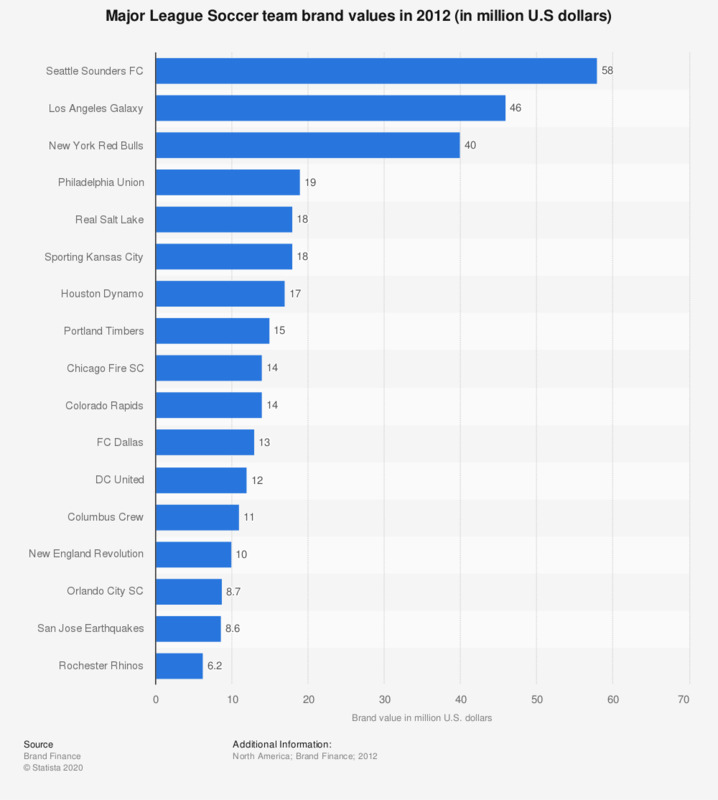 The statistic depicts the brand value of the most valuable football teams in Major League Soccer in 2012. The Seattle Sounders FC had a brand value of 58 million U.S. dollars in 2012. A brand is defined here as the trademark and associated intellectual property. Football clubs are made up of a mixture of fixed tangible assets (stadium, training ground) and disclosed intangible assets (purchased players) with brand value.